When we have a deep and reverential respect for our holy God, we are going to love what he loves and hate what he hates. We need to realize, however, that the word "hate" is used very carefully in Scripture. This strong verb is not used often, and when it is used with God as the subject, the object of God's hatred needs to be noticed. 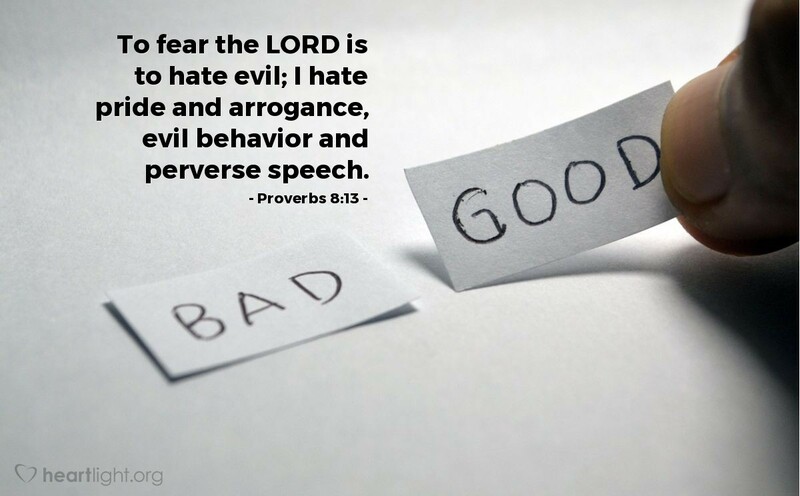 God hates evil, which in this case is defined as pride, arrogance, evil behavior, and vile speech. These are things that Christians not only avoid, but they also loathe. God wants his people to be people of character  people of humility, moral behavior, and helpful speech.